Entrepreneurship to us is broader than business ventures; it is an expanded way of thinking and imagining ways of solving problems. We firmly believe students learn better with Project-Based Learning. They come to understand content more deeply and holistically, allowing them to better apply the things they learn. Our curriculum is internationally recognized and adopted by many of the worlds finest schools. We are currently a candidate for the International Baccalaureate Diploma Program. Independent thinkers who are dedicated, curious, and creative. Individual passions and interests of students. A diverse community that recognizes and appreciates cultures through academic endeavors and personal experiences. 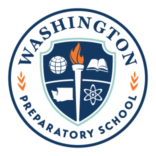 We couldn’t be more thrilled that you are considering Washington Preparatory School as the educational home for your student. To learn more about the application process, how to schedule a visit, and more, click the Learn More button below! extra "E" makes a big difference.